Social media has been open to the masses since the launch of platforms like Myspace in the early 2000s. Since then social networks offered a playground for billions of people to share, exchange and discuss content and ideas. As the big players in the IT scene manage to set foot in even more remote regions of our planet, they accelerate our world’s development to a global village by bringing access to social networks. 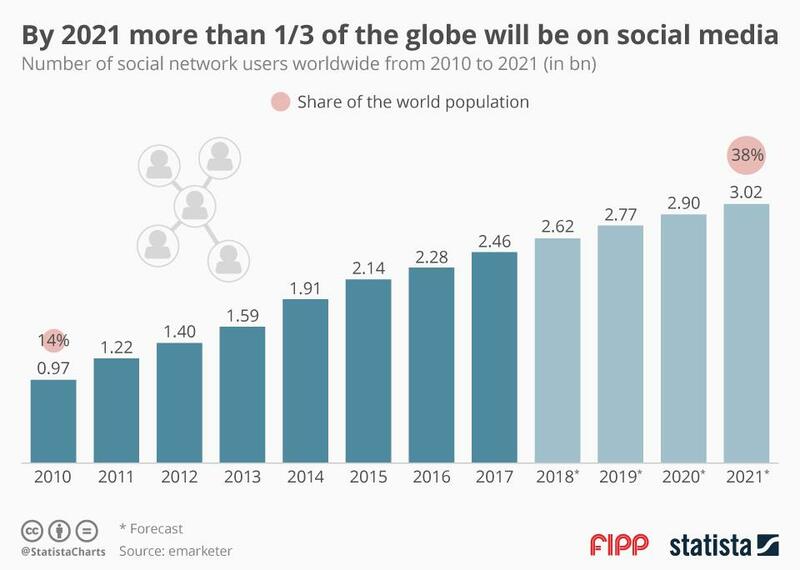 Currently there are more than an estimated 2.62 billion people connected via different social networks, by 2021 the number will rise to over three billion, resembling over one third of the global population.